Catherine Kidd + Jack Beetz: "The Walking Man"
Rhoda Bulter: "Windy Aerts", & "Shetland Trees"
Westside Writers Group anthology launch in Wordplay book festival, recorded 29 Aug 2013 at Mareel in Lerwick, Shetland, Scotland. Intro by Donald Anderson, Literary Officer, Shetland Arts Development Agency. The writers who read include Doug Forest, Marsali Taylor, Beth Fullarton, Matthew Nicholson, Christian S. Tait, Nat Hall, and many more. 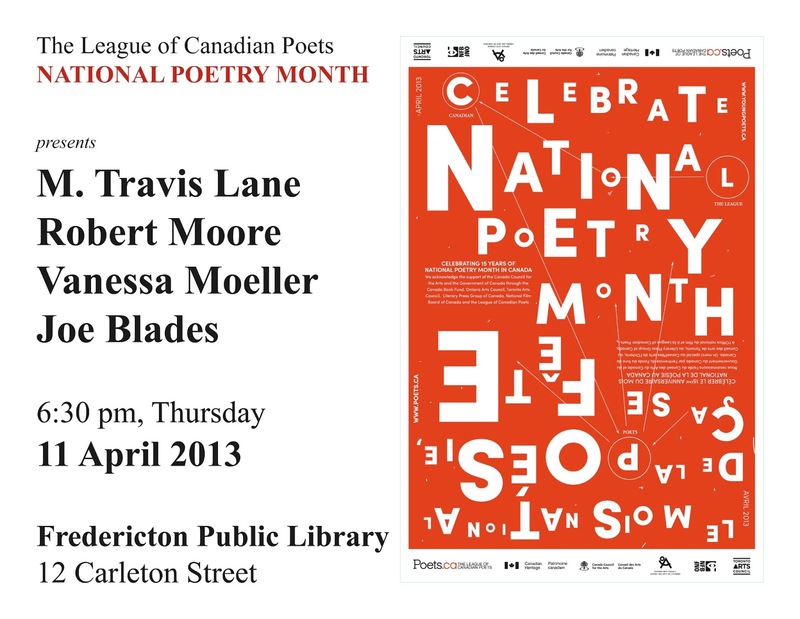 from UNB Poetry Weekend 2013: Ross Leckie, emcee; Julie Cameron Gray; Katia Grubisic; Triny Findley; Jeffery Donaldson; Jeremy Dodds; Nick Thran; & Susan Glickman. John Terpstra & Bart Nameth: "I Moved to Burlington in My Sleep"
Clive Holden: "Bus North to Thompson with Les at the Wheel"
Found face down at 12:27 pm, 24 Nov 2013, between curb and sidewalk opposite Tingley's Plaza, Dundonald Street, Fredericton, NB. "The Magic Glasses Story" written by Cynthia Sharp and Drew Taylor, narrated by Drew Taylor. Silver Wave Film Festival Industry Series 2013: Feature Filmmaking with All The Wrong Reasons. Tim Storey, moderator; Gia Milani, NB filmmaker, director, writer; Tony Whalen, producer; Denis Theriault, actor. Frae Wordplay, Shetland's 12th annual book festival (2013): Book launch for From Shore to Shoormal (Broken Jaw Press) written by Donna Allard and Nall Hall with readings by Nat Hall and Joe Blades. [Audio file of whole reading here: From Shore to Shoormal launch]. Sean Virgo: "Delivered by Hand"
Paula Belina: "turtle backs (p.e.i. )", "un morceau du milles-pattes"
Lemm Sissay: live at Wordplay, Shetland's annual book festival. Found 12:05 pm, 3 October 2013, on the grass strip between curb and sidewalk outside the Atrium of the UNB Student Union Building at 21 Pacey Drive, Fredericton, NB. Ian Steven, from Lewis, Shetland, with two stories: "Uist Selkie", "Ailien Duinn"
Found at the Fredericton Transit bus stop beside 414 York St building, Chestnut Complex, Fredericton, NB, at 7:54 am, 23 August 2013. 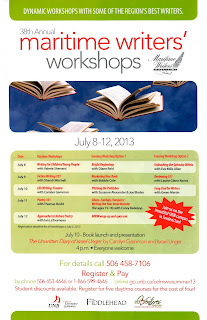 Newfoundland's Janis Spence with a story: "Father Joe"
Joe Blades will be performing in Wordplay 2013, in Shetland, Scotland, giving public poetry readings and school sessions thanks to an Arts by Invitation grant received from artnb. Blades first travelled throughout Scotland in 1983. Poems written from that experience are published in several periodicals, on a hand-pulled, four-colour, limited edition lithographic art print The budget guide to getting here (Halifax, NS: private, 1987) made in collaboration with Greg MacKenzie, printmaker, while they were BFA students at the Nova Scotia College of Art and Design, and in a poetry chapbook titled Eurotrip (Kamloops, BC: Pooka Press, 1996). Blades has previously read, given, presentations, and lead workshops in Scotland as a visiting writer of the Dumfries & Galloway Arts Association in 1996. He was at Dumfries Academy, in Dalbeattie, Edinburgh, Johnstonebridge, Paisley Central Library, and at the University of Glasgow. Poems from that experience have been published in The New Brunswick READER magazine. In Wordplay, Joe Blades will give a reading of his poetry in an event that starts 12:30 pm, Sunday, 1 Sept, at Mareel. Discussions for school sessions and several other readings, including special guest readings, are underway. 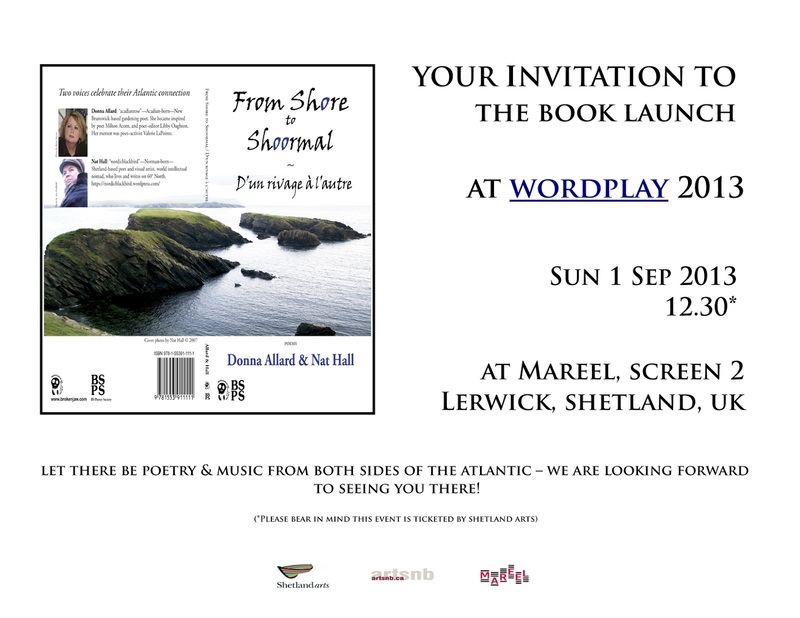 One of these is the Shetland's book launch event for From Shore to Shoormal coauthored by New Brunswick poet Donna Allard and Shetland poet Nat Hall. Join Nat Hall with musician and poet friends on 1 September 2013, Sunday, 12:30-1:30 pm, in Screen 2, Mareel, in Lerwick, Shetland, Scotland. The free event will be followed by a book signing, but seating tickets must be obtained in advance over the phone at 01595 745 555, or online at www.shetlandboxoffice.org and www.mareel.org. 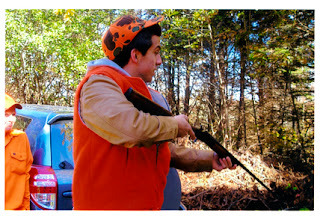 Joe Blades lives in Fredericton, New Brunswick, Canada. He is a visual artist–writer, educator, producer–host of Ashes, Paper, & Beans community radio program at CHSR 97.9 FM since 1995, founding publisher of Broken Jaw Press Inc., and a Past President of the Atlantic Publishers Marketing Association, the Canadian Poetry Association, the League of Canadian Poets, and other organizations. He is editor of ten collections, and author of seven poetry books, including Prison Songs and Storefront Poetry, and Casemate Poems (Collected), with three of his books translated and published in Serbian including his most recent tradebook, Iz knjige koja se ne zatvara. In the past 33 years, Blades has given many readings across Canada, including in the Ottawa International Writers Festival, Scream in High Park, Word on the Street (Calgary, and Halifax), Eden Mills Literary Festival, Festival littéraire international Northrop Frye International Literary Festival, and the Labrador Creative Arts Festival, as well as in Sarajevo Poetry Days in Bosnia Herzegovina, and in Hungary, Romania, Scotland, Serbia, and the USA. 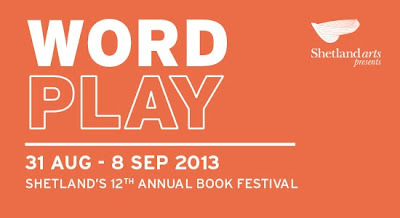 Joe Blades gratefully acknowledges the support of an Arts by Invitation–Career Development grant from artsnb to enable his participation in Wordplay 2013. Newfoundland author Janis Spence: "On the beach in spanish room"
Lord Torvaldr Torgarson: "Ragnarok Almost Rolled"
Janis Spence: "Live with the Barons"
Rab Wilson: Robert Ferguson's "Caller Oysters"
Ruth Kirkpatrick: "Goodwife of Kittlerumpit"
Ahdri Zhina Mandiela: "Cane Fields"
Paulo da Costa: "Aqua libra"
Sheri-D Wilson: "Man Min Ming Mang"
Hamish Macdonald: "An Ode on the Occasion of the Opening of the first Robbie Burns Summer School"
Lovely Scottish sunshine today ;) but it's not going to stop the NB Highland Games Festival from starting this evening with a Kilted Run/Walk at 6 pm, a concert in the Ceilidh Tent starting at 7 pm, followed by a kick-Off Party also in the Ceilidh Tent. Listen to us on air, on the web at CHSR 97.9 FM. 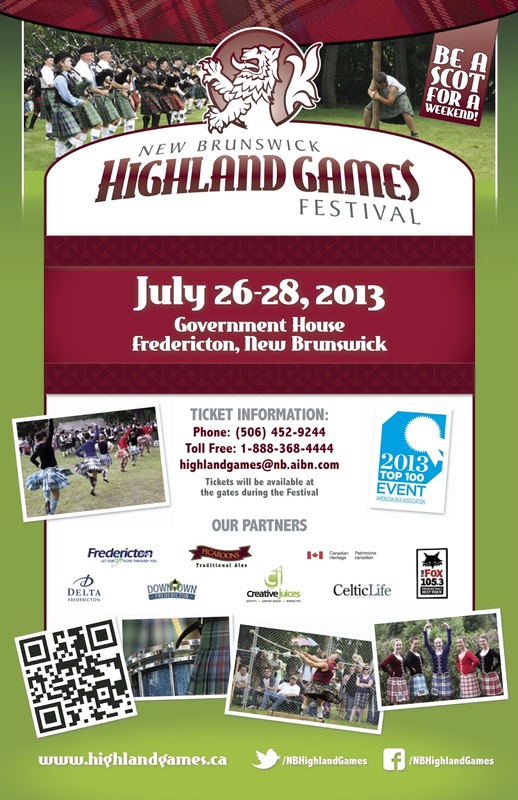 Come to the Highland Games and visit us in person. CHSR is Fredericton's campus–community radio station, your volunteer-run and operated radio station. We've been in Fredericton since 1961, and we are Fredericton's oldest FM station. Find out how you can join CHSR 97.9 FM and get your face on radio making airwaves. Because I was an instructor of a session in Maritime Writers' Workshop 2013 this month, the University Bookstore at UNB Fredericton currently has copies of two of my books: Casemate Poems (Collected) (Chaudiere Books), and Prison Songs and Storefront Poetry (Ekstasis Editions). Would be really nice to see them sell copies. The books will be there at least a month. The store is located at 29 Dineen Drive, Fredericton, Phone 506-451-6912, Fax 506-458-7001. Vince Tinguley, Montreal poet: "Have I Forgotten How To Write A Poem? ", "How Can I Help? 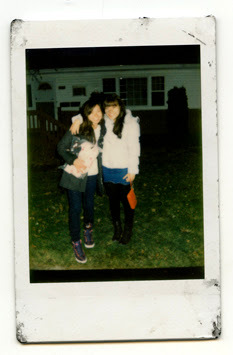 ", "It's Good, It's Accurate", "Midget Love (Sansui Mix)", "Suture", & "The Star Who Never Was". Catherine Chandler, Montreal poet: People, Places, and Things podcast. Tom Muir, Scottish storyteller: "Selkie Story". Utah Phillips: "Natural Rsources", & "Egg Sittin' Horse"
bill bissett: "th nails eetr"
We hope you are all having a happy and healthy summer. We, at the Canadian Labour International Film Festival[CLiFF], aren't taking a break, but moving ahead with preparations for our 5th Annual Canadian Labour International Film Festival. We have been receiving films fast and furious over the last week or so. Just this morning, we received FOUR! As a result, we have decided to extend our Submissions Deadline to 15 July, 2013. We hope this will allow all those who haven't had a chance, to submit your films for this year. Don't forget to send us your DVD and stills/trailers on a separate disc. See you in November—all across Canada! 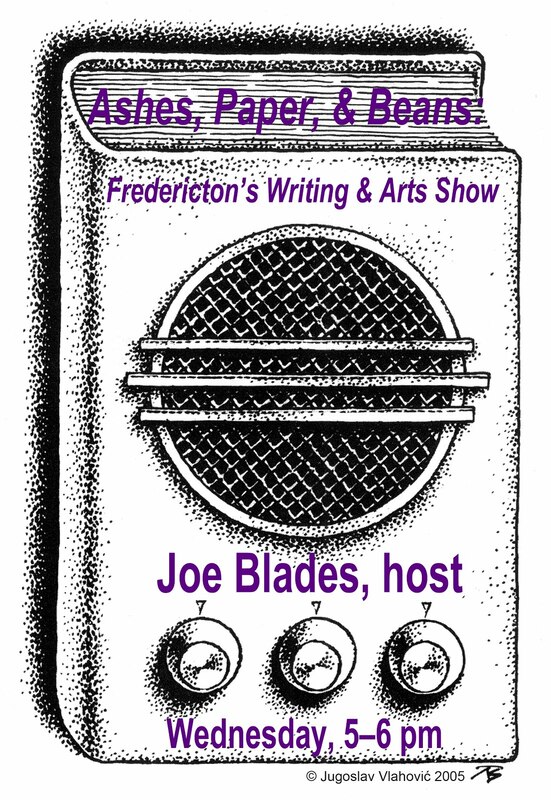 Joe Blades recorded interview with Bernadette Wagner, Saskatchewan poet. Small version of this year's poster. Suzanne Alexander of Goose Lane Editions, and I of Broken Jaw Press, to lead Pitching the Publisher. 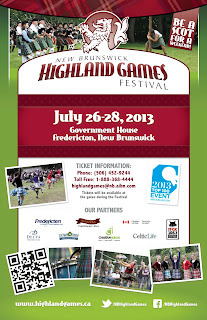 Go to go.unb.ca/celmwwsummer13 or phone 506-453-4646, 1-866-599-4646 to register; 506-458-7106 for info. Emery Hyslop-Margison: "Post-neoliberalism and universities". Recorded 2012-10-24, UNB Faculty of Education's Works-in-Progress Series. Lisa Moore: "If You're There" from Open (Rattling Books, 2005). Found at 1 pm, 2013-04-28, outside 360 Dundonald Street, Fredericton, NB, facedown in the driveway between the sidewalk and curb: young hunter. Sean Virgo: "Delivered by Hand" short story. Live interview with documentary filmmaker Peter Evanchuck. Dr Jeff Orr, Dean of Education, St Francis Xavier University: "Educational Leadership for Social Justice"
R.C. Weslowski: "A Bucket of Zaaaaa"
13th International Multicultural--Multilingual Poetry Reading and Poster Poem Eposition. Nela Rio, organizer with various poets and poem readers. Recorded by joe Blades on 16 March 2013 @ Gallery ConneXion, Fredericton, NB. Christian Bök: Bugo Ball's "Sea Horses and Flying Fish"
Fredericton lecture and reading PSAs. verbomotothead: "Monks of the Holy Throat", "Fat Summer"
First Draft: "Restlessness", "'A" Yanta"
W. Mark Sutherland: "On Disecting the Larynx", "Hiroshima"
The Horsemen and Owen Sound: "She was a Visitor"
Re:Sounding: "Rune Clock Clocking Runes"
Dr Jennifer pazienza: "Beautiful Dreamers". Recorded by Joe Blades, 2013-03-14, in the Faculty of Education, University of New Brunswick, Fredericton, NB. M. Travis Lane has lived in Fredericton since 1960. She has published fourteen books of poetry. The most recent are: The Book of Widows (Frog Hollow Press, 2010), The All-Nighter’s Radio (Guernica Press, 2010), and Ash Steps (Cormorant Press, 2012). Robert Moore is the author of four collections of poetry, including his latest from Signal Editions, The Golden Book of Bovinities. His work has appeared in a host of national and international journals and anthologies, including Descant, The Fiddlehead, and Quadrant. He teaches literature and creative writing at UNB. Vanessa Moeller’s poems and short stories have appeared in numerous periodicals, and have won several awards including the Atlantic Poetry Prize and an honorable mention in the poetry category of the 2010 National Magazine Awards. Her first poetry collection, Our Extraordinary Monsters, was published by Signature Editions in 2009. She completed her MA in creative writing at the University of New Brunswick. 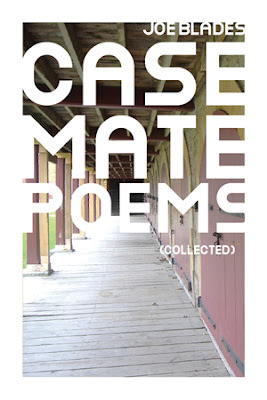 Joe Blades—artist, writer, producer–host of Ashes, Paper, & Beans (CHSR 97.9 FM), a Past President of the League of Canadian Poets, and publisher of Broken Jaw Press—is the author of seven books, including Prison Songs and Storefront Poetry (Ekstasis Editions), and Casemate Poems (Collected) (Chaudiere Books). 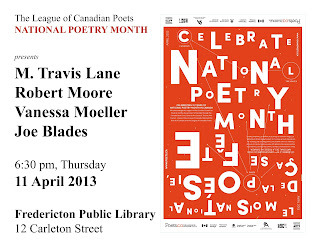 This reading is made possible by The League of Canadian Poets with funding from The Canada Council for the Arts, and the Department of Canadian Heritage. Interview with Twisted Tails 7 contributing authors Joe Powers and Biff Mitchell. The book is scheduled to be launched simultaneously on Thursday, May 2nd at The Rivoli, 334 Queen St. West in Toronto, and at the Vancouver Public Library. The lineup of speakers and performers is being arranged. Contributors are also welcome to present their piece at the after-party that will follow the Rivoli launch at 9 pm at Q Space, 382 College St, Toronto, ON. That event is going to include an open mic at which those who won’t be appearing onstage at the Rivoli will be able to speak, in a more intimate setting, about their own connection with Jack. Other launches are in the planning stages: see www.mytown.ca/pennletters for details, and an update on April 1. Present in BC with Penn Kemp on April 6, 7, 10, 11, and on May 2 with Allan Briesmaster, beloved consulting editor. Penn will be out west launching the book April 4-20, and at the Stratford Library, Stratford, ON, April 21 at 2:30 pm. The London, ON, launch is on May 23 and contributors are welcome to present their piece there too: see http://aeolianhall.ca/events/jack-layton-art-action-book-launch. An Ottawa launch is scheduled for May 29, with hosts MP Irene Mathyssen and Penn Kemp, and contributors. Montreal too, hopefully ... and Guelph. 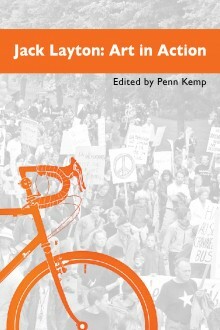 Here’s information on Jack Layton: Art in Action: http://www.quattrobooks.ca/books/jack-layton-art-in-action/, with Penn's Preface and a list of contributors. To be posted soon are terrific blurbs already received. Please place orders with Quattro Books, 382 College St. Toronto M5T 1S8. $25 for a beautifully produced book of this size and quality is a very fair value Jack would have appreciated. Order a dozen! Donations for the production of Jack Layton: Art in Action are most welcome any time. The book will be available from Quattro after April 1. Thanks so much for your enthusiasm for this labour of love, which is more necessary now than ever. Here’s celebrating Jack and all he stands for!!! 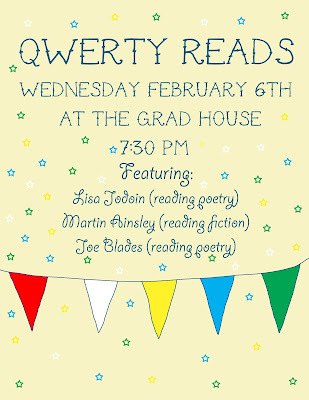 Qwerty Reads, 6 March 2013: Lisa Jodoin(poetry), Joe Blades (poetry), and martin Ainsley (fiction). Recorded by Joe Blades. Angela Davis speaking at Mt Allison University, Sackville, NB. Recorded by Joe Blades on 27 Sept 2012. Includes a paper of mine presented at the 4th Unconventional Meeting of Young Canadians, Baia Mare, Romania, in April 2010. Blades, J. (2012). 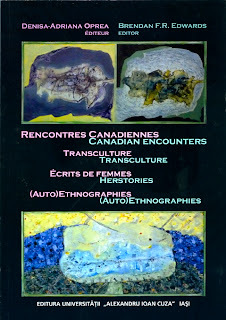 Poetry of the Americas versus metafictional Canada: An autoethnographic reflection on a selection of my art and poems alongside agendas of re/visioning the Americas (initiated in response to a call for papers for a symposium I was not attempting to attend). In Brendan F.R. Edwards, and Denisa-Adriana Oprea (Eds. ), Canadian encounters: Transculture, herstories, (auto)ethnographies / Rencontres cannadiennes : Transculture, écrits de femmes, (auto)ethnographies (pp. 197–230). Iaşi, Romania: Editura Universităţii „Alexandru Ioan Cuza”. Micro and No Budget Filmmaking: Greg Hemmings (modeator), Michael Ray Fox, Jesse Anthony, Julius Malco, Robert Parsons, & Jared Burt. Recorded by Joe Blades @ the 2012 NB Film, Television, & Media Industry Summit, Fredericton, NB. 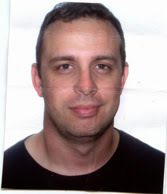 Joe Blades is producer–host of Ashes, Paper, & Beans (CHSR FM) at the University of New Brunswick. Tony Tremblay (St Thomas University): "The Geo-Politics of 'Place' in Trans-Nationalism: Responding to Those Who Would Negate Us". Recorded by Joe Blades on 27 Nov 2012 in the Atlantic Canada Studies Seminar Series, Tilley Hall 28, UNB Fredericton. QWERTY Reads, February 6, 2013! QWERTY reads hits Alden Nowlan House, the UNB GSA Grad House, again, with the prose and poetry stylings of Lisa Jodoin, Martin Ainsley, and Joe Blades. 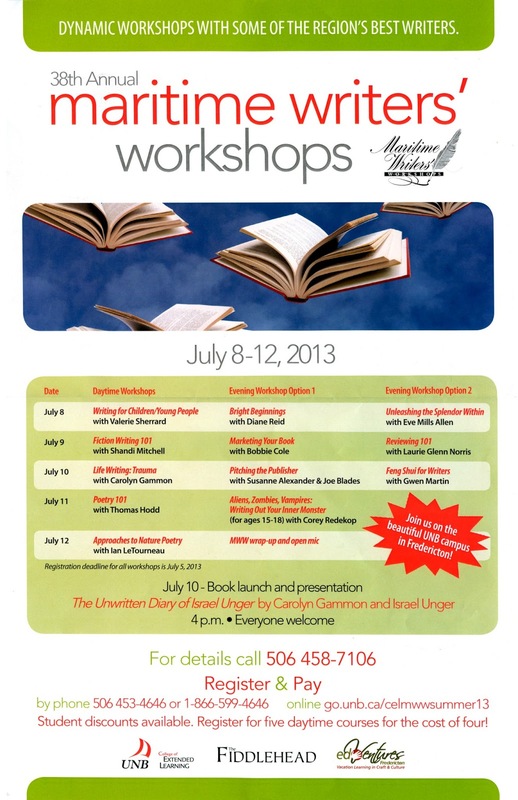 Come enjoy some snacks and drinks while taking in literary greatness! Gord Whittaker, moderator; Walter Forsyth, Michael Melski, & Tony Whalen. Recorded by Joe Blades @ the 2012 NB Film, Television, & Media Industry Summit, Fredericton, NB. Christian Bõk: Eunoia, Chapter A. Toronto, ON: Coach House Books. Rozalie Hirs (The Netherlands): "Pulsars (2006–2007)"
Paul Dutton (Canada): "Nod for Bob (For Bob Cobbing)"
Christian Bök (Canada): "Motorized Razors", & "Ubu Hubbub"
Ashes, Paper & Beans: Fredericton's Writing & Arts Show. Host: Joe Blades. CHSR 97.9 FM Fredericton, NB. John Houston, keynote speaker, 2012 New Brunswick Film, Television & Media Industry Summit. Recorded by Joe Blades 9 Nov @ the 2012 NB Film, Television, & Media Industry Summit, Charlotte Street Arts Centre Auditorium, Fredericton, NB. Phlip Arima: "The Scene that Screams"
Al Purdy poem: "At the Quinte Hotel". Women in Film and Television panel: Gretchen Kelbaugh (host); Ashley McKenzie; Ruth Lawrence; Jillian Acreman. 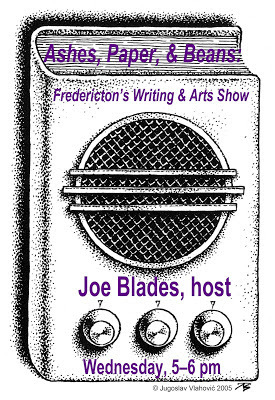 Recorded by Joe Blades 9 Nov @ the 2012 NB Film, Television, & Media Industry Summit, Charlotte Street Arts Centre Auditorium, Fredericton, NB. APB Book Review: Jump the Devil by Richard Rathwell, 8th House Publishing, Montreal.